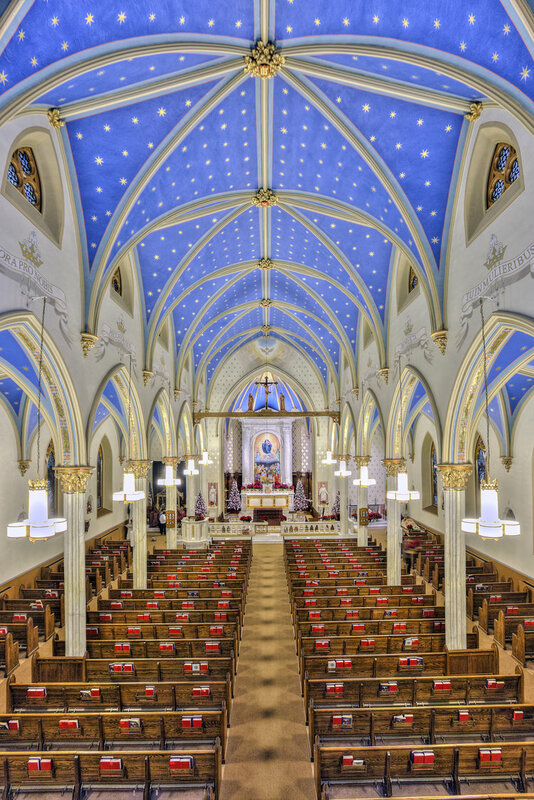 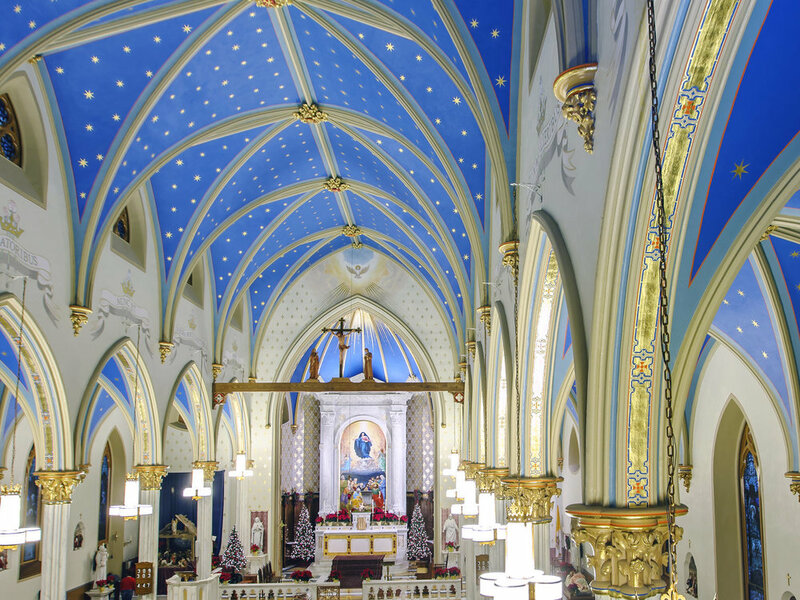 Over the course of its first century, Saint Mary Roman Catholic Church had three separate, elaborate interior designs. 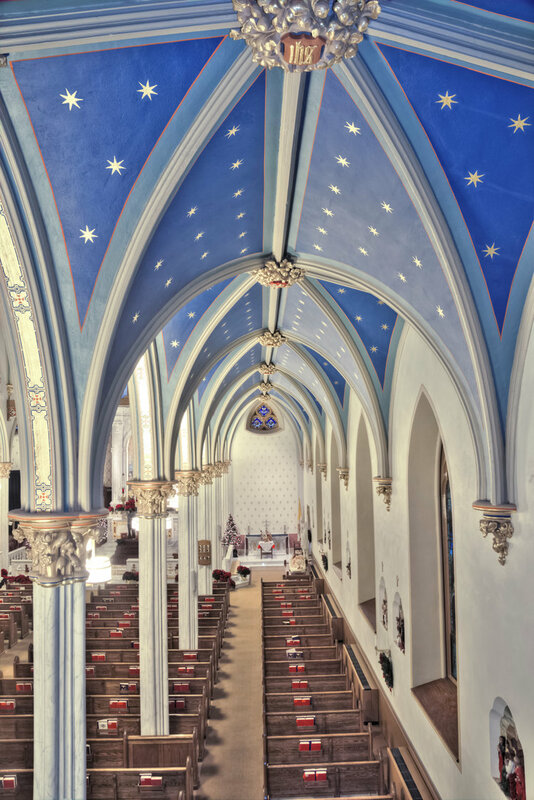 And then, in the 1990s, the Church was painted off-white throughout. 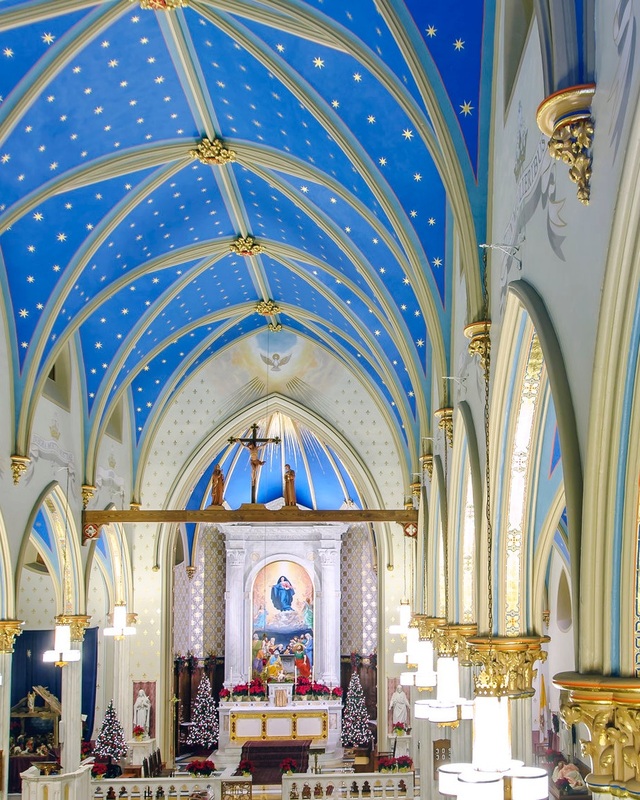 The parish and CLA provided the church with a new decorative scheme that articulates the architecture, reflects a Marian theme and represents the finest historical, traditional liturgical design. 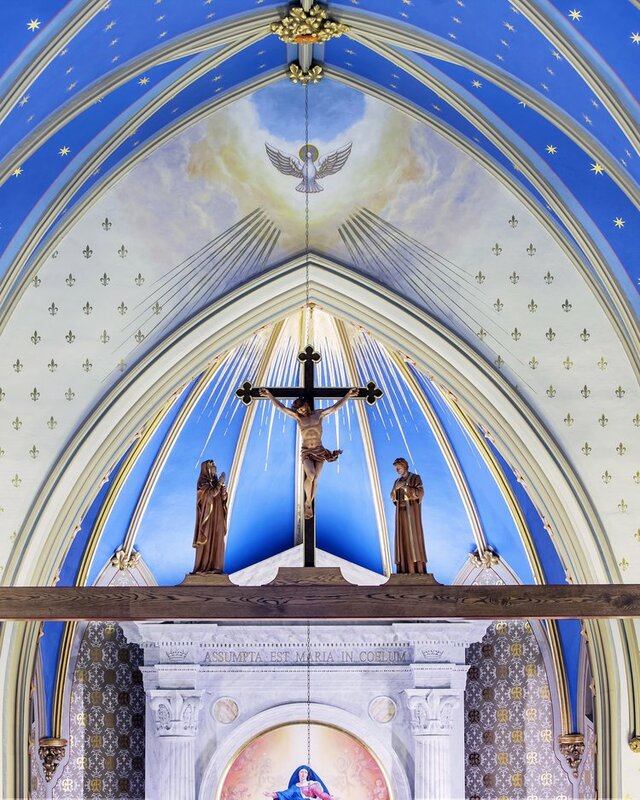 The comprehensive project was completed in phases, one of which was the restoration of decoration in the transept, including a new plaster reredos.